Completely Assembled. 1024 pixel per output pixel controller. Customers that placed an order for F4V2 this year will receive the new F4V3. Network Firmware Updater - This software update firmware on F16V2R, F4V2, F16V3 and F4V3 over a network connection. Board is powered from pixel power. Input can be 5-24VDC. 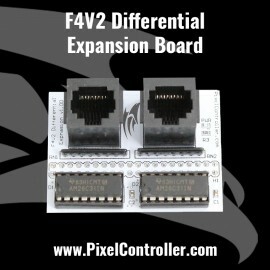 4 - Fused outputs for main board and expansion board. 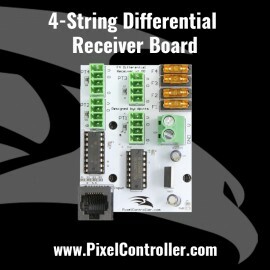 4 strings or 12 strings with expansion board. All strings can use any of the 48K channels this controller can receive as a start address. 1024 pixels per string for all 12 possible strings. 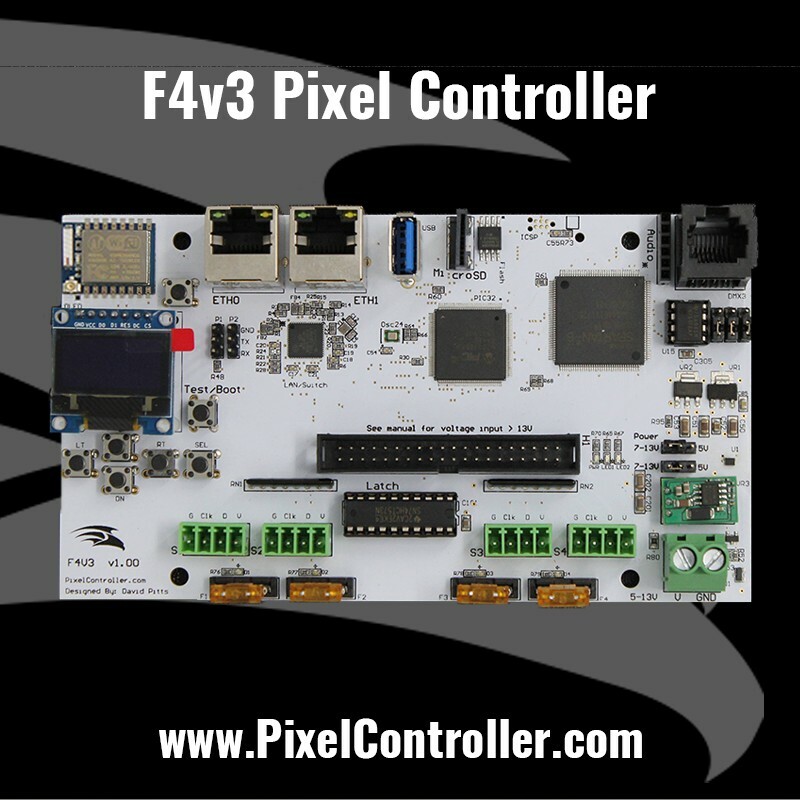 The incoming pixel voltage of main board is detected and displayed in user interface. (OLED displays voltage and temperatures).